So many times we have been into the details that why exactly this is the need of the hour to switch to the pallet wooden recycling ideas. Well, it has got so many reasons and those potential reasons are indirectly supporting this cause as well. 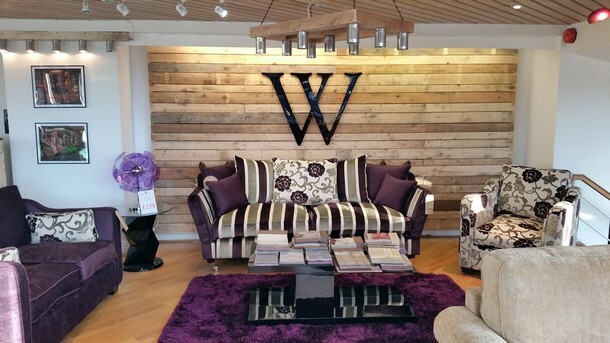 We just feel obliged when people actively participate in here and give us feedback about our pallet wood creations. 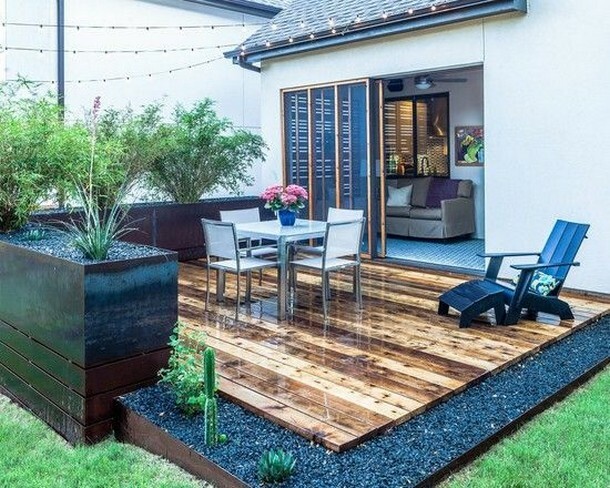 These upcycling projects of wood pallet have literally become the part of lives of the people. 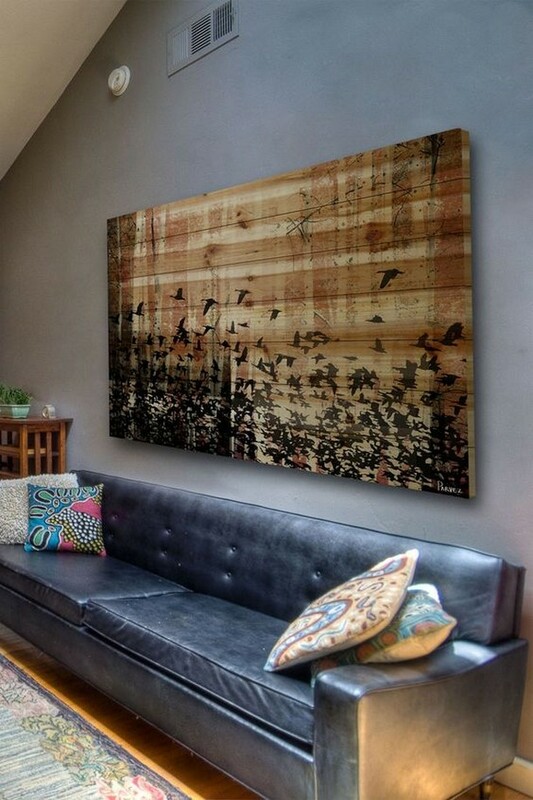 People now make the best use of their spare time, the pallet wood crafters don’t go party, but this art is more than party to them. I mean when you are having the most important wooden furniture items right at your place pretty free of cost recycled by you, this feels so good. This is such an amazing feeling to make something with your very own hands for your house. 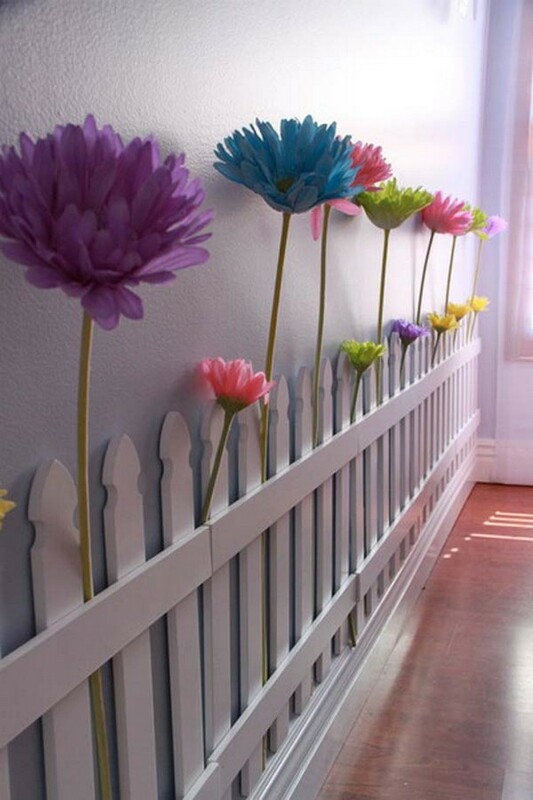 A fellow crafter said that this time we are doing some room embellishment with the pallet wood other than making a wooden flooring or wall cladding. So out of nowhere an insane idea came to my mind, we did this wooden pallet wall fencing on the wall of room and it really worked. 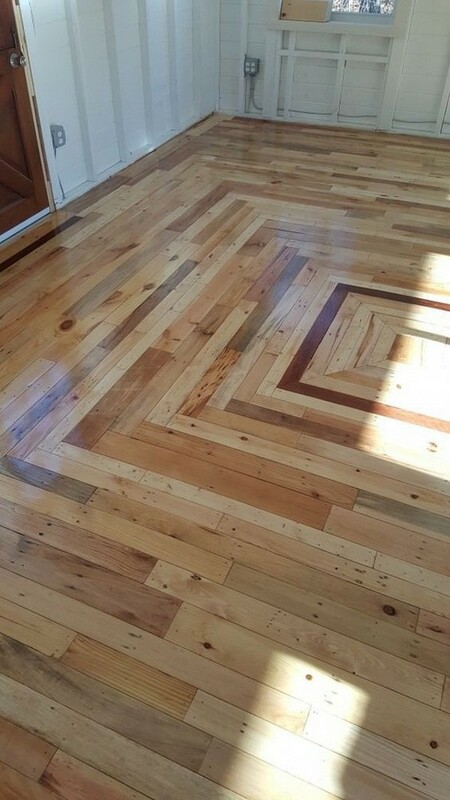 Wooden flooring is another great thing that can be done for your house using the shipping pallets. But if you are specific about your room interior you must bear in mind that this time you have to put a little extra effort to grab some fresh shipping pallets. 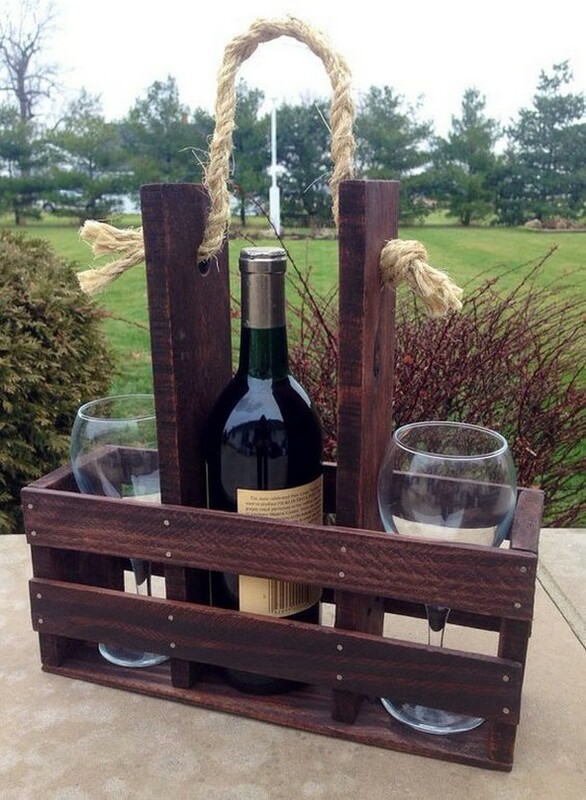 As a smoking addict loves to have a cigarette case along with him or her, just like that a wine addict would simply love to have a personalize wooden pallet wine rack and would carry it throughout the premises wherever he goes, may be in garden or the patio. 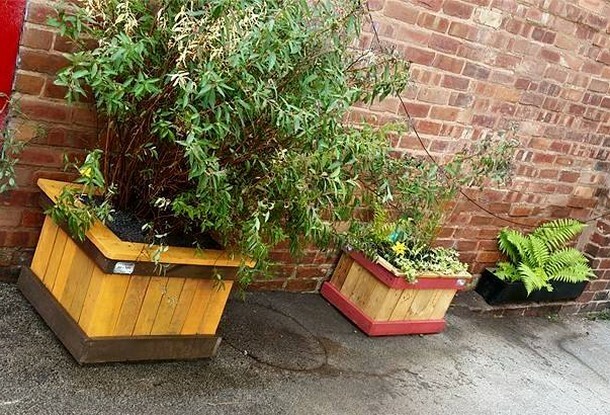 Meanwhile we didn’t forget about the gardening fanatics as they are always craving for some ever new ideas for the garden whether this is some kind of embellishment or some wooden pallet planter, and here comes a smart pallet wood repurposed planter for such fanatics. This dressing table isn’t that type of the furniture item that we usually see inside the lavish houses. Rather I would say this is the one very influenced from the approach of art. 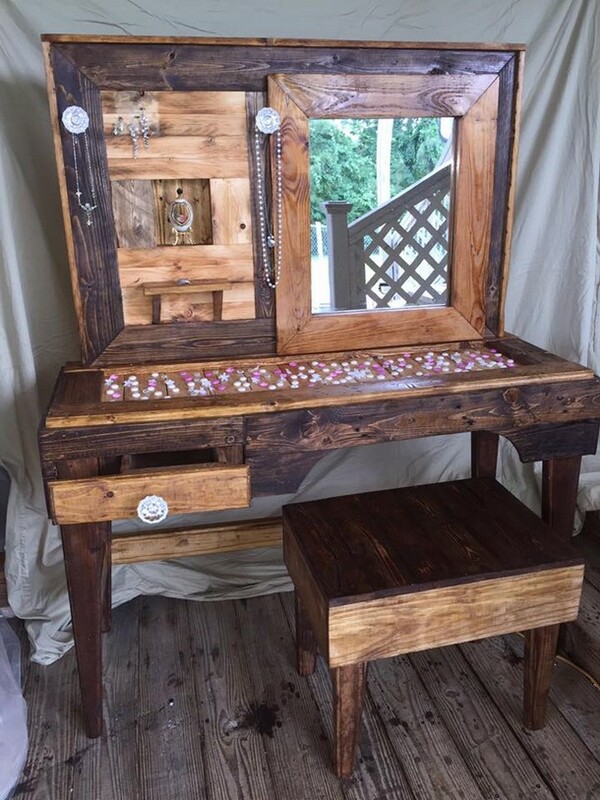 This vintage pallet wooden dressing table makes an appealing artistic addition inside your room which is not usual. Wall cladding gives your room interior a whole new dimension, not only it enhances it but it also turns the tone all around. As the large alphabet W shows that this room belongs to some mister Walter, or may be William who has got a very polished sense of art. 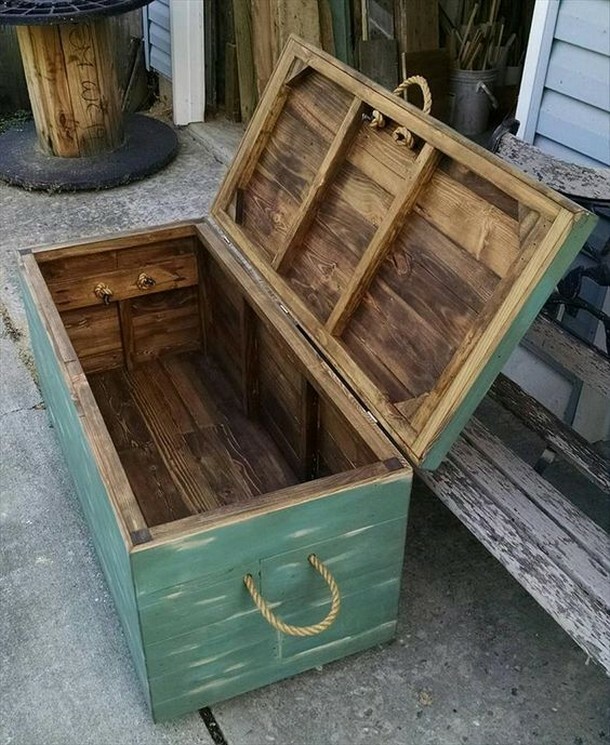 If we describe the pallet wood creations in a couple of words, I think elegance would be on the top of the list in my opinion provided you are gusty and smart enough to polish your pallet wood upcycled creations in a professional manner. And this takes a lot of practice and time ofcourse.